Neighborhood Self Storage provides a clean and secured place for you to store your possessions. You can choose from a wide variety of Denver self-storage units and sizes available so you can store all of your residential, office, and recreational items. There are trained Aurora Self Storage, Centennial Self Storage, Elizabeth/Parker Self Storage & Boat & RV Storage and Englewood Boat & RV Storage professionals on site and who pride themselves on providing personal attention to you. 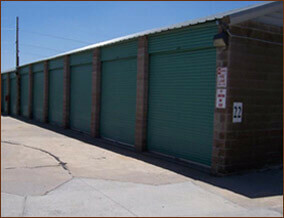 This attention to individualized Denver CO storage services has resulted in countless happy and satisfied customers. Who Is Neighborhood Self Storage? You have found a family run Denver self-storage business that has been serving Arapahoe County’s self-storage need for many years including the cities of Centennial, Englewood, Aurora, Parker, Elizabeth, & Denver. As a locally owned business, we are not bound by corporate rules and policies like many of our Denver self-storage and RV storage competitors. We offer cheap self-storage in Denver metro to meet your needs! This means that we can work with you to find the best storage solutions for you or your business at the best prices around. We pride ourselves on being a part of the Aurora, Centennial, Elizabeth, Parker, Englewood, and Denver communities and work hard to help our neighbors have the best self-storage experience! Why Choose Us For Colorado RV & Denver Self-Storage Needs? The Neighborhood Self Storage Denver CO team knows your community because we are a part of the community. We understand your needs better than competitors, who are mostly run by corporate offices in other cities or states. Since we live in and care about our community, we will work hard to find the best Denver self-storage solutions that work for your family or business in the South Denver Metro area. You will experience this commitment from your very first phone call to one of our Denver self-storage professionals. You will discover that satisfaction is of utmost importance to us. Call today and experience the difference that we bring to the world of Denver self-storage, serving Centennial, Englewood, Parker, Elizabeth and Aurora, CO.